Always a great gift, no matter the occasion! No longer out of pocket! We'll directly bill your insurance company. will get you back to your sport. Helping people feel better since 2001. Recognized as one of the top massage therapy clinics for professional and effective massage therapy care. This group of clinics boasts 16+ years of exceptional service with 4 locations to serve your massage therapy needs. This technique is a blanket term used to describe general massage techniques used for relaxation massage. If your goal is to relax, de-stress or escape reality for an hour this will be sure to help! Is aimed at addressing the deeper layers of muscle and connective tissue. Can be tender, but communication with your therapist will ensure that it stays within your comfort level. Trigger points are what many people refer to a “knot” in a muscle, responsible for headaches, chronic tension and decreased mobility. a safe and preferred method to relieve many of the discomforts associated with pregnancy, safe for all stages of pregnancy. Special positioning on the massage table ensures total comfort during your session. geared towards treating and preventing sports-related injuries. Whether you are a professional athlete or playing street hockey with the kids, the goal is to help prevent injury, maximize results and promote recovery. Uses heated basalt stones to penetrate deep into your muscles to provide intense relaxation, also softens scar tissue, promotes blood flow and reduces trigger points. a therapeutic form of taping that allows the taped area to maintain a full range of motion while still providing support to the affected area. This form of taping is intended to last for 3-5 days. a gentle, non-invasive therapy that helps the body heal itself. It finds and releases restrictions from the head, down the spine to the sacrum to coax positive change in the body. It uses very little pressure and can be done over clothing. Each location offers Top Massage Therapists with diverse massage therapy skill-sets. In 2001, Melissa Gardner Webb opened Absolute Massage in a room out of a local recreation complex. In 2008 outgrew her space and moved into the current location in the Kanata North Business Park. In 2018 the name was changed to relax. 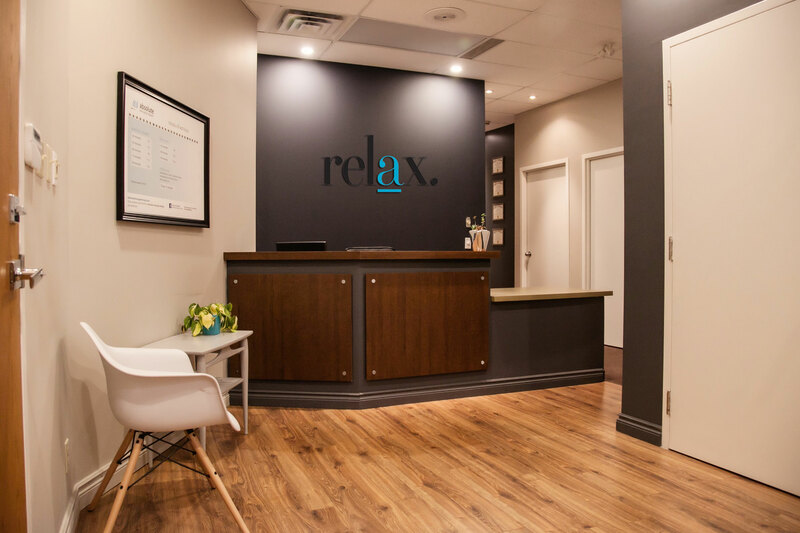 and the Relax Massage Group was established; expanding to open another clinic at 250 Greenbank Road and acquiring Body Poets Massage Therapy located at 504 Kent Street, Ottawa. Relax Massage Group now consists of 4 clinics; relax. Kanata, relax. Almonte, relax. 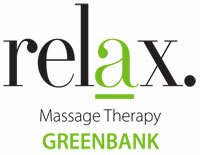 Greenbank and relax. Body Poets. We look forward to serving you at one of our locations. Our roster of top Massage Therapists continues to increase; offering diverse skill-sets ranging from deep tissue sports massage, to myo fascial release, pregnancy massage, taping, and craniosacral therapy. Our group of clinics now offers over 20 premiere therapists! We are pleased to offer ONLINE BOOKING at all 4 massage clinics. Please click the Schedule an Appointment to choose a location near you! If you prefer you can contact us at 613.591.3444 (Kanata) 613.256.0021 (Almonte) or 613.596.5644 (Greenbank) or 613.222.0465 (Body Poets) for more information, or to book an appointment. We are also very excited to introduce DIRECT BILL to extended health benefits where available. Please check the details on our direct billing page. Whether you need help with an injury or you just want to relax, our clinic caters to all clients with unique situations.